Days before the Philippines’ withdrawal from the ICC became effective last Sunday, former foreign affairs secretary Albert del Rosario and former ombudsman Conchita Carpio-Morales sent a communication to ICC prosecutor Fatou Bensouda asking her to initiate a preliminary examination on China’s activities in the disputed region. 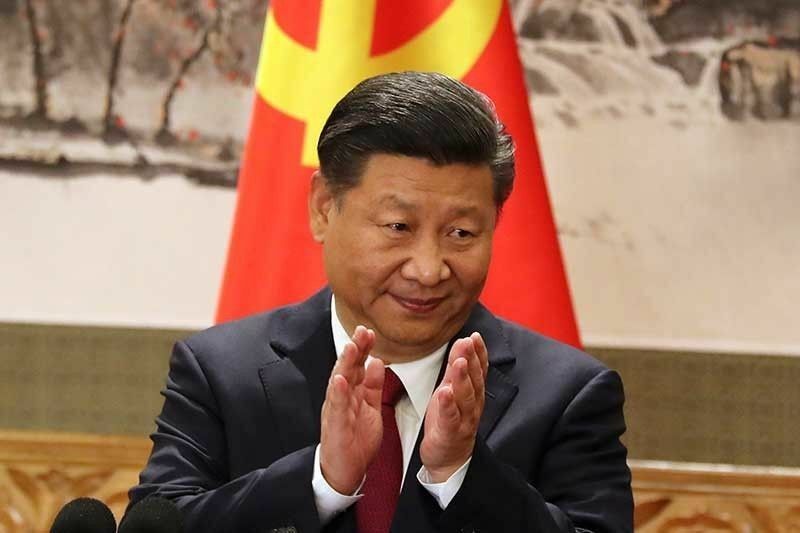 MANILA, Philippines — Chinese officials led by President Xi Jinping are being accused of committing crimes against humanity before the International Criminal Court (ICC) over Beijing’s dredging activities in the South China Sea. In their 17-page communication dated March 13, Del Rosario and Morales said China has committed crimes within the jurisdiction of the international tribunal, noting the impact of Chinese activities to vulnerable fishermen, including Filipinos, who were deprived of food and livelihood. “The situation is both unique and relevant in that it presents one of the most massive, near permanent and devastating destruction of the environment in humanity’s history, which has not only adversely affected and injured myriad groups of vulnerable fishermen, but present and future generations of people across nations,” Del Rosario and Morales said. These activities, they added, undermine food and energy security of the coastal states in the region, including the Philippines. “The grave consequences of these actions justify the Court’s involvement as it affirms one of the principles of the Rome Statute that ‘the most serious crimes of concern to the international community as a whole must not go unpunished and their effective prosecution must be ensured’,” they said. Aside from Xi, Chinese Foreign Minister and State Councilor Wang Yi and Chinese ambassador Zhao Jinhua were also named in the communication. Del Rosario and Morales cited the evidence submitted in the South China Sea arbitration between the Philippines and China as basis for initiating an examination for crimes against humanity against the Chinese officials. It was Del Rosario, during his tenure as foreign affairs chief under the term of former president Benigno Aquino III, who led the country in its arbitration case against China. He also said that Wang defends, promotes and facilitates the crimes stated in the communication while Zhao defends, promotes and facilitates the crimes. Del Rosario and Morales cited an article that Zhao wrote on Nov. 15, 2018 for a local newspaper where it was stated that China and the Philippines are “separated by only a narrow strip of water, [and] have been close neighbors for centuries.” To them, this is part of the continued assertion of China’s unlawful and expansive nine-dash line claim in the South China Sea because the Philippines and China are not “separated by only a narrow strip of water” but instead, by a distance of approximately 580 nautical miles from Luzon to the coast of Hainan, China. “Over the past several years, Xi Jinping has ordered engineers to pile sand onto some of the sea’s disputed offshore reefs, mostly in the Spratlys, with the apparent goal of building military bases there,” the communication also reads. Both Del Rosario and Morales included in the communication the testimonies from Filipino fishermen who were forced to abandon their livelihood due to Chinese blockades in Philippine territory, including Panatag (Scarborough) Shoal. They also underscored the long-term damage of dredging activities to coral reefs, which serve as breeding ground of fish in the region. “Since the end of 2013, China has deployed a multitude of dredgers in the Spratlys. The dredgers’ rotating cutters pulverize coral reefs and the hard sediment on the seabed,” said the former officials. “The pulverized coral reefs and sediment are sucked through a nozzle and siphoned through a pipe into the ship. These materials, consisting of now dead pulverized coral reefs and sediment, are then pushed by pressure through a floating pipe and deposited on the rim of the reef, killing all the coral reefs in the atoll,” they added. While China is not a signatory to the Rome Statute that created the ICC, Del Rosario and Morales said the alleged acts fall within the jurisdiction of the tribunal as these happened within the territories of the state parties. They also believe that the ICC will continue to have jurisdiction over the crimes, which were committed when the Philippines was still a party to the Rome Statue. In urging Bensouda to initiate a preliminary examination, the two said the crimes are already known in the international community, are highly publicized and have been judicially vetted by the Permanent Court of Arbitration in the South China Sea arbitration. “China violated our rights when we were a state party (to the ICC). Our filing was within one year from the date of withdrawal. It takes countless years to restore a destroyed marine environment, leaving those who are dependent on it helpless and hopeless. That is clearly a crime against humanity,” Del Rosario stressed. He also said that on Sept. 15, 2016, the ICC already announced that it would work to prosecute and adjudicate environmental crimes. An 18-page policy paper also set out guidelines for the selection and prioritization of cases for investigation and prosecution. The Office of the Prosecutor stated that it would give particular consideration to crimes involving the destruction of the environment, illegal exploitation of natural resources or the illegal dispossession of land. Meanwhile, Malacañang said yesterday that President Duterte would order the arrest of ICC investigators if they come to the Philippines to probe his war on illegal drugs. Presidential spokesman Salvador Panelo said the ICC would “assault” Philippine sovereignty if it insists on investigating the President’s campaign against narcotics. “They can do the worst. If they try to come here earlier on, I said in my statement they will be deported,” Panelo told “The Chiefs” aired on Cignal TV’s One News channel last Wednesday. “But the President said last night (March 19), I will have them arrested if they come into this country,” he added. “You know, when the sovereignty of a country is being assaulted, then that country has the right to protect itself from enemies of the state. You must remember that the paramount interest of the state prevails (over) any kind of right given to any foreign guest,” he added. The spokesman also reiterated that the ICC personnel may come as tourists but cannot conduct investigations because the Philippines is no longer a member of the ICC. “If they come here to investigate and to proceed with whatever examination they’re having, then I’m sorry. It is an assault to our sovereignty,” he said. He added that Filipinos might also be prevented from going to another country to participate in the ICC’s probe on the killings tied to the drug war. Duterte has withdrawn the Philippines’ ratification of the Rome Statute, the treaty that formed the ICC, after the international tribunal announced it would conduct a preliminary examination of the deaths tied to his drug war. Officials have claimed that the ICC has become a “political tool” of groups who wish to discredit Duterte and his crackdown against crime. Panelo has argued that the Philippines was never under ICC’s jurisdiction because the Rome Statute was not published in the Official Gazette. He has also claimed that ICC would violate its own rules if it proceeds with the examination of the drug war. According to Panelo, a country that withdrew from the ICC is only obliged to cooperate with the ICC if the tribunal has started a preliminary investigation. The ICC has only initiated a preliminary examination, he said.